Video Killed the Radio Star, we were told back in the 80s. Yet in 2018 there are more radio stations than ever before, musicians still love to make their mark on the airwaves, and DJs such as Chris Evans, Nick Grimshaw and Chris Moyles are household names. The same goes for the digital revolution crushing the print media – it hasn’t happened and in some cases traditional print works best. Technology has its place in modern marketing, but printed literature and display material can play a vital part in a company’s development. 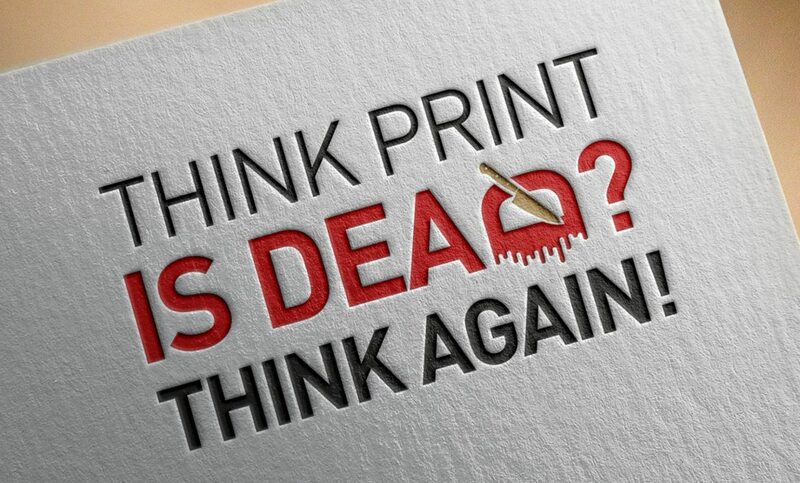 Printed materials are still very much an effective way of advertising and marketing a business. They allow people to visually and physically interact with your brand, in ways that no digital offerings will ever be able to replicate. Indeed, there is scientific evidence that suggests that content on paper affects our brains in different and more powerful ways. Research by Temple University in the USA in suggested that print engaged viewers for more time, caused more brain activity in areas associated with value and desire, and imprinted themselves more on the long-term memory. Items such as business cards, flyers and posters are perfect for small businesses looking to establish their brand locally, particularly if they operate in a sector where a chunk of their target audience are not active online. In an age when digital materials can get lost in the crowd, a visually stimulating and eye-catching printed work will always stand out – particularly at exhibitions and business events. It’s easy to scroll past all the digital adverts on your mobile, or find a different website if too many annoying pop-ups, well, pop up, while print materials are more difficult to ignore. Not only that, printed materials have “staying power” compared to digital offerings. A brochure or magazine, for example, can be on hand for reference purposes at any time – even when their online equivalents are not available. Follow us through our social media channels. Whether it’s a like or comment, we are always interested in your opinion. Your feedback is very important to us and will help Emerge to shape future projects. © Emerge Design Ltd 2019. UK Company Reg. 5718330. VAT No. GB 879 2255 81.